When asked where they get their ideas, writers often say they listen to the voices in their heads. Perhaps it’s because they want readers to experience their characters as vivid and self-willed. And yet the rarely acknowledged fact of the matter is that those characters can always be rewritten. Unfortunately that’s not true for characters that exist outside your head. Other people—real people—have an annoying tendency to go off-script and you have no other option but to take them as they are. While you can’t correct people with a flourish of your pen, the good news is there are time-honored—and time-tested—ways of interacting with other people to create and build relationships that even writers can master. Dale Carnegie’s How to Win Friends and Influence People was originally published in 1936. How could an advice book published before World War II still be relevant? Publishing, like nearly everything else in our lives, is fundamentally about human relationships. And people haven’t changed much over the last century. If you brush aside the cobwebs and blow away the dust, you’ll find Carnegie’s ‘40s-era advice is as good as or better than the latest pearls of wisdom from social networking gurus. And what does Carnegie advise? Remember that a man’s Name is to him the sweetest and most important sound in any language. Talk in the terms of the other man’s interest. Show respect for the other person’s opinions. Never tell someone they are wrong. How does this apply to writers? The key to winning friends and influencing people, in both the art and business of writing, is empathy. 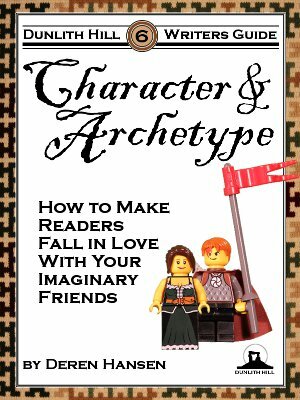 You can’t capture characters or readers without it. Empathy is no more or less complicated than putting the other person first. 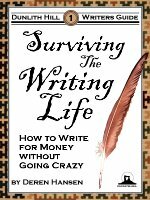 The single most important take away from Surviving the Writing Life, the first of the Dunlith Hill Writers’ Guides, is that it’s not about you: the vast majority of the people with whom you’ll do business as a writer—particularly your readers—care about a relationship with you only because of what’s in it for them. 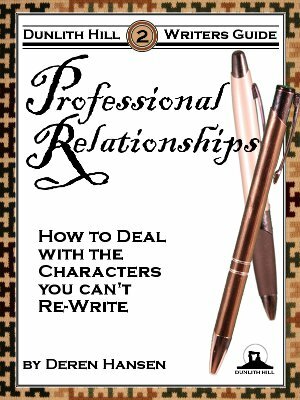 This volume takes that theme and, using Carnegie’s principles as a framework, explores the ways in which you can navigate the variety of professional relationships you’re likely to have as a writer. Chapter five covers approaching and working with agents. In chapter six, we’ll consider Carnegie’s, “Six Ways to Make People Like You,” and then look at particular applications of those principles as you find and build your audience in chapter seven. Chapter eight reviews Carnegie’s, “Twelve Ways to Win People to Your Way of Thinking,” which we apply in chapter nine’s introduction of a principled approach to marketing and promotion. 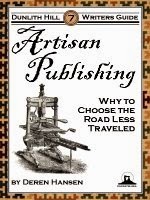 In the world before pervasive interconnectivity, getting published was the writer's holy grail because the publisher, who controlled the book distribution system, was the key to getting into the bookstores and ultimately finding readers. Now writers have additional ways to reach readers. And, more importantly, readers have ways to find and acquire books that don't include bookstores. The way in which you establish a professional relationship with your readers makes all the difference. And the key is to remember: it’s not about you the author; it’s about what you, the author, can do for your readers. Like ants, which live in an exquisitely complex world of chemical signals, we exist simultaneously in the physical world and a universe filled with streams of encoded symbols. If we define writing as assembling strings of symbols in some medium—lists, notes, messages, letters, email, presentations, reports, and so on—almost everyone in the literate world writes. The fact that you have this book means that you are thoroughly a part of the literate world, and thus are a writer. Ah, you mean you want other people to call you a writer. It is true that while almost all of us write, very few of us are called or call ourselves writers. That’s because writers produce a particular kind of writing: work that is consumed by people in general instead of someone in particular. Implicit in the dream of being a writer is the hope that you will derive some or all of your livelihood from your writing. That is, being a writer is often synonymous with writing for money. Why should perfect strangers trade their money for your words? Are you willing to do what it takes to produce the kind of words strangers will want to buy? People who say they want to write a book usually mean they want to publish a book. They take it as given that the book they produce will naturally have publishers bidding for the privilege of publishing it and readers lining up at the book stores to purchase it. Because they wrote it: because they brought a prodigy into the world for which future generations will sing their praise. Does that sound a bit over the top? Think about it: does anyone set out to write a mediocre book? Does anyone dream of their book debuting to lackluster sales? Publishing in the commercial market is a trying and exhausting undertaking. Yet I’ve met far more people who want to be published than want to release an album or play professional sports, even though the requirements for success in all three endeavors are similar. Like many things that take skill and dedication, writing at a professional level is not as easy as it looks. So, why do lots of people believe they should be published? Many confuse a passion for reading with a need to write. A number think that because they can write they should write. Some want to prove they can write something better than the stuff that’s out there. Some who can write fall prey to the, “cute kid,” syndrome and assume everyone will love their baby as much as they do. Others who say they dream of writing really dream of having written so they can bask in the glow of their accomplishment. Many would-be writers talk about the journey toward their ultimate goal of publication—as if writing is a sort of personal quest and publication is the Holy Grail. What’s odd about this ultimate goal is that publication, in some form, is easier now than it ever was: if your quest is simply to publish, there are a variety of ways to achieve it that don’t require agents and major New York publishing houses. Of course, what we don’t want to admit when we talk about our writing journey toward publication is that our goal is really vindication: we want the stamp of approval from the gatekeepers (agents, editors, and publishers) which will admit us into the ranks of the published authors and make us citizens of the shining literary city on the hill. It is true that the personal experience of producing a novel is much like a journey. And it’s perfectly understandable that we should want our largely solitary pursuits validated by other people. But the stark reality is that the publishing industry doesn’t exist to bolster your self-esteem or even acknowledge your worth. The only thing that matters is whether you have a project that will appeal to an audience large enough to be profitable. With the advent of the Internet, there are more ways to share one’s writing with others than ever before. You can publish anything you want, from the profound to the profane, in a multitude of formats—and many people already have. Combine the exponential eruption of new material with the wholesale loading of everything that’s ever been written onto the Internet and we have a situation where you wouldn’t make a significant dent in the list of things to read even if you had a thousand lifetimes. Why should you add a few drops to this rising ocean of information? You might argue everyone has a right to express themselves. Perhaps, but no one else has any obligation to pay any attention to that expression. If you intend to write for a general audience, the vast majority will neither know nor care about you and your reasons for writing. The only thing that matters to your readers, and the only reason they’ll give you money for your words, is that your book gives them something—an experience or information—they can’t get somewhere else or as conveniently. If you understand this one fundamental truth about commercial writing, you’ll be well ahead of the legions of would-be writers. So what should be your motive for writing? At one level there are as many answers as writers, but after you peel away motives like vanity and fame that can’t endure the grueling course that is the life of writing, the only sustainable answer is that you write because you must. Most people understand, “you write because you must,”as a compulsion—which seems obvious when we’re talking about the dedicated time and effort required to produce a hundred thousand words. 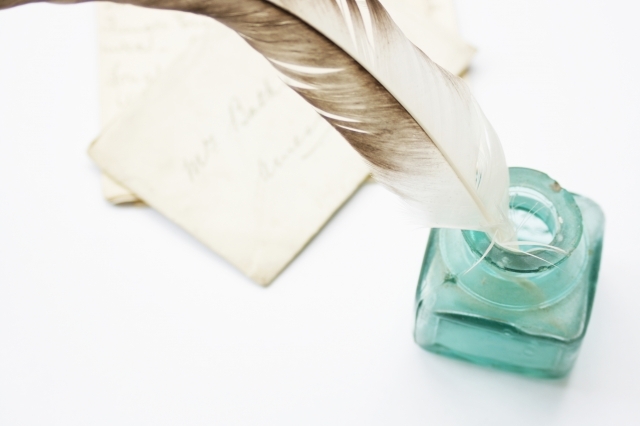 But the compulsion to write is not a nameless force bubbling up from our subconscious. The answer we arrive at in the final chapter is that the reason to write is because you have something to contribute to the conversation. In order to understand what that means and what you’re getting yourself into, we’ll begin in chapter 2 with a look at the stamina, dedication, and self-confidence required if you want to write for a general audience. 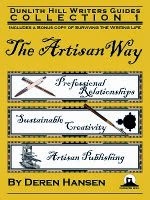 Chapters 3 and 4 explore the world of commercial publishing and your role in it as a writer. 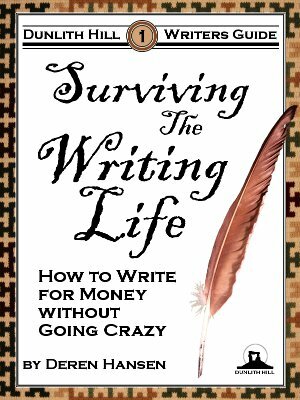 After an interlude in chapter 5 to help you understand how to make sense of the wealth of writing advice you’re likely to encounter, we’ll turn in chapter 6 to the mindset you’ll need to develop to survive the writing life. 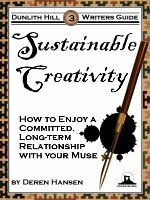 In chapters 7 and 8 we elaborate the ways you can provide value to your reader when you understand your job as a writer and take a closer look at what constitutes good writing. And then bring it all together in chapter 9 with a discussion of the ways in which you can contribute to the great conversation embodied in our written legacy. This volume also includes a pair of appendices that explore the changes in commercial publishing brought about by the eBooks revolution and suggest a strategy for participating in the e-Publishing revolution. None of this, of course, will guarantee you fame and fortune as an author. But then no book can—not even the ones that say they do. What it will do is give you the tools, in the form of concepts, expectations, and mindsets, to chart your own course through the seas of commercial publishing without going crazy. Like real life, the writing life is filled with contradictions and perplexities. The world of commercial publishing is counter-intuitive and writers dive in weighed down with misconceptions, delusions, and unrealistic expectations. Perhaps because most of us write in some form every day we believe we can—and should—write a book. We also assume writing is the hard part and once our manuscript is finished publishers will line up for the privilege of delivering it to the world. This is why many people who say they want to write really mean they want to have written. For good or ill, once money enters the picture you become a professional writer: even if you’ve never received a penny for your words, as soon as you try to sell them—to agents, editors, or the public—the nature of many of your social relationships changes. People will no longer care about you; they’ll only care about what you and your writing can do for them. We generally associate creativity with spasms of brilliance even though waiting for inspiration is like waiting for lightning to strike—it happens, but it’s rarely predictable or repeatable. Committed, long-term relationships don’t simply happen: more than just hard work, it takes discipline and wisdom to keep a romance alive. The same is true for creativity. 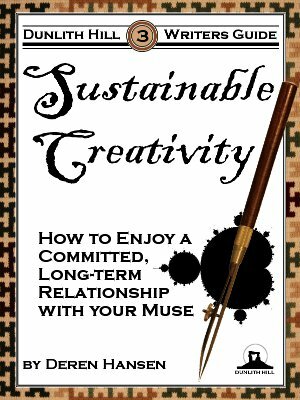 This book is about the discipline and wisdom of creativity, particularly as it applies to writers. 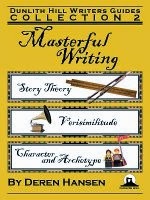 If you master the techniques in it you will be able to make the time and space to collect ideas and arrange them in novel combinations that will delight your readers. We all know how to tell stories just like we all know our native language, having heard both since we were born. People, however, who study their native language discover there’s much they misunderstood or simply didn’t know. The same is true of story when we look at it more carefully. 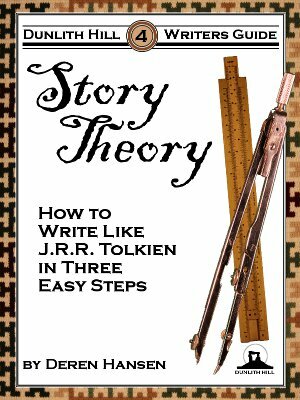 With topics that include the theory of story as model, the fractal key to narrative complexity, and the art of the long form, this volume will show you the essence of stories and storytelling. 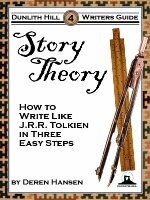 It’s advanced stuff—no writing prompts or exercises here—but if you want to understand how stories are the minimum container of significance, how storytelling is like commanding an artillery battery, and why the three easy steps are, 1) lather, 2) rinse, and 3) repeat, this volume is for you. In terms of objective reality, a work of fiction is an elaborate lie. No writer thinks of themselves as a liar simply because they write fiction, but that’s the fact of the matter. And no other writing guide will admit to teaching you to be a better writer by showing you how to be a better liar—at least in a narrative sense. A good lie rings true. Verisimilitude, or the appearance of truth, is critical in a novel because readers open the book knowing it is fiction. Their willingness to suspend disbelief is like a house of cards—if you make one wrong narrative move the illusion of truth falls apart. One inescapable fact about our species is that we’re social animals: people are at the center of our universe. We have a long history of trying to understand the natural world by personifying its aspects. That’s why believable characters make or break our stories. A novel, however, is not a portrait. 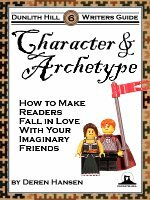 What readers really want is to see how interesting characters act and transform themselves over the course of your story. Electronic publishing has upset the equilibrium enjoyed by the publishing industry for the last half-century. While some celebrate the overthrow of the gate-keeping elite and the democratization of publishing, others lament the end of literary culture. Beneath the enthusiasm and the angst, a new market has opened as commercial publishers abandon mid-list books in favor of blockbusters. Thanks to online markets where books never go out of print, it is now possible for authors to earn a living writing and selling books they and their readers love. Being a professional writer involves more than mastering the craft of writing and the art of storytelling. There are the constant challenges of managing your own expectations as a writer, dealing with other people in the industry, maintaining your creativity, and running what is, in truth, a small business. In order to master the craft of writing and the art of storytelling you must internalize the rhythms of the human experience and the ways we share that experience. 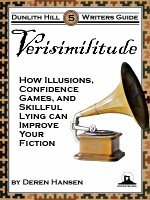 There are deep and consistent patterns in the ways we tell stories, weave narrative illusions, and develop fascinating characters.